What awaits visitors here can only be described in superlatives: the highest point in Belgium, the only raised moorland in the country. And yet, when applied to the High Fens, they are not exaggerations. It is a unique and fragile landscape that one cannot help but be fascinated by. Embedded deep in the High Fens-Eifel Nature Park is this unique, otherworldly landscape, characterised by its strangely captivating desolation. But its apparent barrenness is only superficial. Though the climate on this high plateau is sometimes harsh, this large grassy moorland is a vital habitat for many plants and animals. The Nature Park Centre tells visitors everything there is to know about this landscape in a very clear and comprehensible way. Armed with this wealth of knowledge, you can then set out down the GR 56 and into the moor. At first, your path is wonderfully soft, and slightly springy as you walk on it. It’s a strange but amusing sensation. You walk close to the German border through sparse woods, passing the mighty crags topped by the “Cross in the Fens”. The hike is wild and romantic as it leads from the Reichenstein monastery through the spectacular Rur Valley all the way to enchanting Monschau. Monschau is the cultural center of a whole region and one of the most popular holiday and excursion destinations in the Eifel. Dogs are not allowed in the nature reserve. 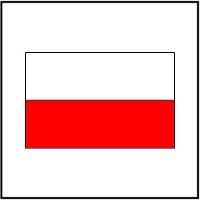 Signage: white and red rectangle. Please use the route planner. At the visitor car park at the Nature Park Centre.